In water treatment processes the dominant membrane processes are reverse osmosis (desalination) and ultrafiltration (pre-treatment RO, disinfection), but there is also an upcoming market for hollow filtration nanofiltration membranes that do retain low molecular weight dissolved organics (e.g. compounds of emerging concern) but allow ion-transport, i.e. salt(s) passing the membrane in order to avoid high osmotic pressure. Existing reversed osmosis (RO) membranes can remove both salts and organics, but high energy consumption is hampering this process in many applications. And in potable water applications e.g., one need to (re) mineralize the RO permeate in order to get the correct water quality. Also the generated high saline concentrate stream is expensive to treat. In this session we want to focus on new developments in the water treatment markets, with a focus on the compounds of emerging concern using existing or new membrane filtration processes. Piotr Dlugolecki is energetic and hardworking leader with a 10+ years of experience in leading technical, engineering and R&D teams in water sector with special attention to membrane processes. He has strong professional skills in innovation, leadership, strategy planning, product development and IP management. 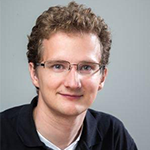 Piotr Dlugolecki is a PhD graduate in field of membrane technology of University of Twente (The Netherlands). From 2009 until end of 2017 Piotr played major role in technology development in the successful start-up company Voltea which was founded to commercialize Membrane Capacitive Deionization (MCDI) technology. 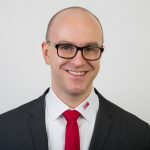 Since early 2017 Piotr is working as Head of Technology at Berghof Membranes. Joris de Grooth is experienced in developing new membranes for emerging applications. A notable example is the development of Layer-by-Layer based nanofiltration membranes for the removal of medicines from (waste) water that are now produced by NXF. He has a proven track-record in translating a fundamental understanding of membrane physics and chemistry to actual products and application. He is specialized in both nanofiltration and microfiltration membranes and applications, e.g. removal of pesticides, medicines or colour from waste water, the clarification of beer broth, and developing cleaning strategies for fouled membranes to ensure stable operation. 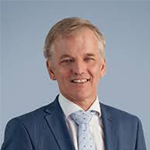 Prof. Dr. Walter van der Meer is CEO of drinking water utility Oasen, and also part-time Professor Membrane Technology and Engineering for Water Treatment at the University of Twente. Does Nanotechnology increase the Performance of High Pressure Membranes? Prof. dr. ir. 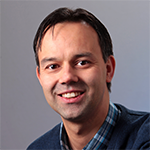 Emile Cornelissen is a Senior Scientific Researcher at KWR Watercycle Research Institute in the Netherlands and part-time Professor at the Particle and Interfacial Technology Group at the University of Ghent in Belgium (since 2017). He works also as a Visiting Scientist at the Singapore Membrane Technology Centre (SMTC) at the NTU in Singapore (since 2014). He obtained his Chemical Engineering MSc degree (1992) and his Chemical Engineering PhD degree (1997) at the University of Twente (the Netherlands). From 1997-2002 he worked as a Process Engineer at Seghers better technology for Water in Belgium and worked on membrane filtration in waste water treatment. Since 2003 he is a Senior Scientific Researcher at KWR Watercycle Research Institute and his research topics include membrane fouling and cleaning, rejection of emerging contaminants by pressure driven membranes and developing innovative processesHe published more than 86 papers in well-respected scientific journals (h-factor of 31), co-filed 4 patents and written three book chapters. He received several innovation awards in the field water treatment and membrane filtration.